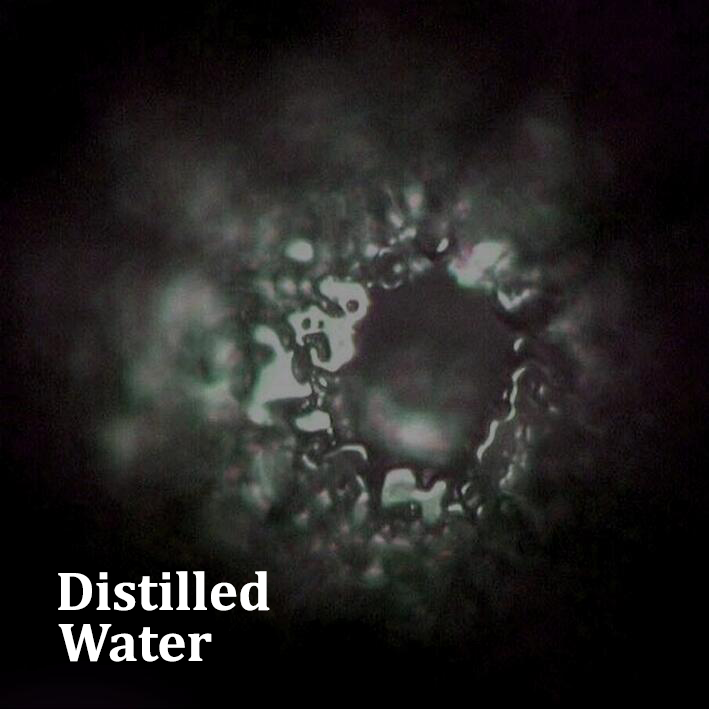 Water crystal images are a brilliant way to show the informational state of the water under investigation. 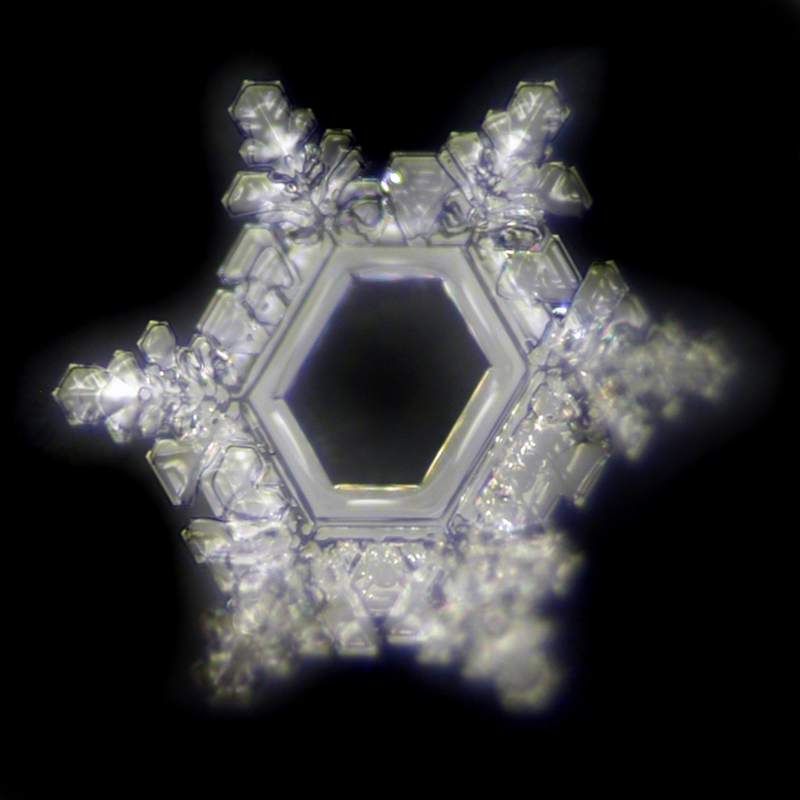 We owe this method to the Japanese, Masuro Emoto, who passed in October 2014, but his intellectual legacy still fascinates our world and continues to be cultivated by Emoto Laboratories. 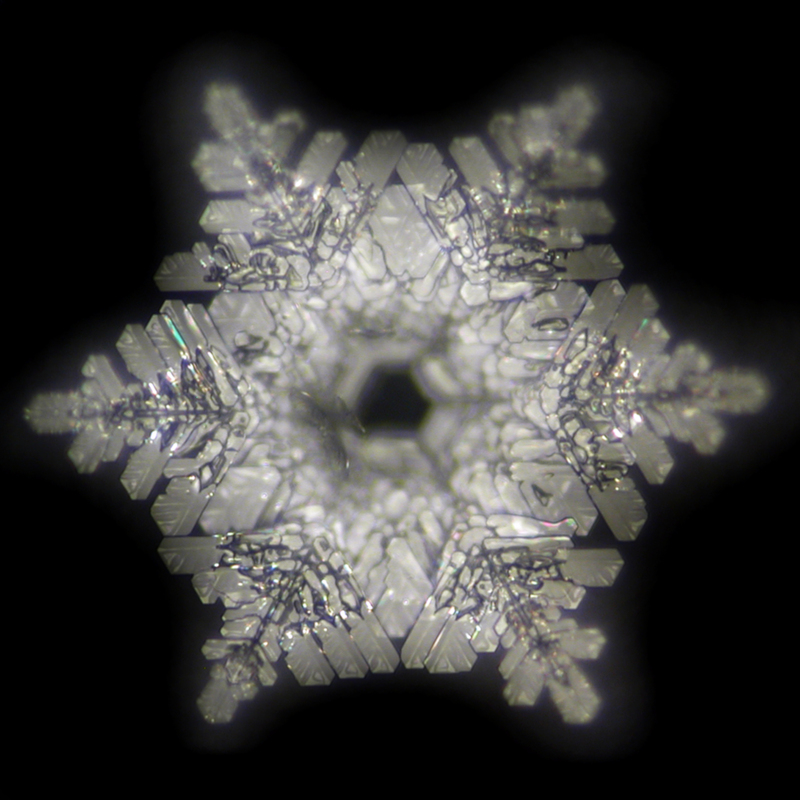 Ernst F. Braun from Uttigen (CH) has personally met Masuro Emoto and his process for the production of water crystal images. Today, together with his daughter, Sarah Steinmann, he offers interested customers the possibility to produce water crystal images of their water samples. We went to visit him to have a look around his laboratory and conducted two tests with distilled water. 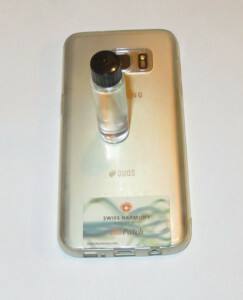 Water sample on the back of a smartphone, which was harmonized with a Swiss Harmony BioPatch. harmonized with a BioPatch. This is easily seen in the adjacent photo. We wanted to find out whether a smartphone, if harmonized with a BioPatch, gives the water a positive information and can thus produce the same water crystals that are typical for healthy water. The sample was left standing on the smartphone for 20 minutes and then Ernst Braun took a few drops of this sample to freeze it (methodology described below). We were very excited and had to wait a few days before we received the result by mail. Water crystal image after exposure to a smartphone, which has been harmonized with a Swiss Harmony BioPatch. 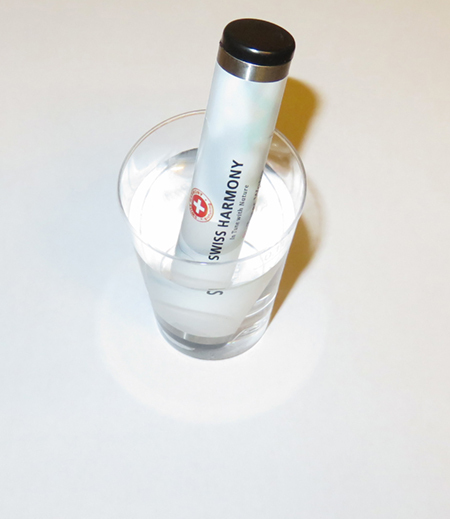 In the second test, we filled a glass with distilled water and then introduced a Mini-WaterTuner. This test arrangement can be seen in the photo to the right. The aim here was to find out whether our WaterTuner can have a positive influence on the informational state and thus on the quality of the water sample. In this experiment we let the water rest for 20 minutes to allow the WaterTuner maximum effectivity. Subsequently, a few drops were taken from the sample and frozen. 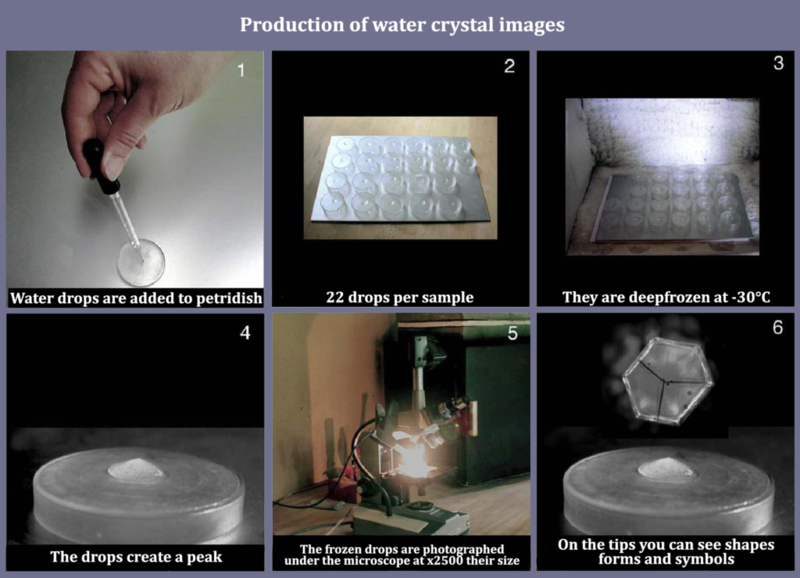 The process for the production of the water crystal images is documented here by Mr. Braun. Click on the image to enlarge.